Sports medicine, post surgical rehabilitation, spinal pain, and Woman’s Health Issues are areas of interest for Deena. Her treatment styles have been influenced by many continuing education classes: Myofascial Release, McKenzie Treatment, Maitland Mobilization, Muscle Energy Techniques, Incontinence Training and Pelvic Pain. 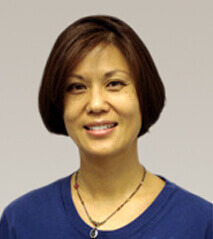 In addition to working in Outpatient Physical Therapy, she has experience in: Pulmonary Rehabilitation, Inpatient Neurological Rehabilitation, Inpatient Orthopedic Rehabilitation and Home Health. Originally from Portland, she made Cedar Point her home in 2001, with her husband Andrew and 2 daughters.